When she came to America in 1921, Pura Belpré carried the cuentos folklóricos of her Puerto Rican homeland. 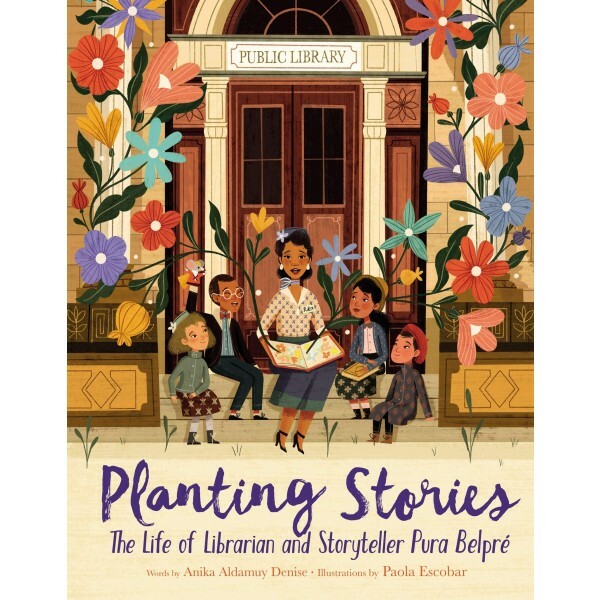 Finding a new home at the New York Public Library as a bilingual assistant, she turned her popular retellings into libros and spread story seeds across the land. Today, these seeds have grown into a lush landscape as generations of children and storytellers continue to share her tales and celebrate Pura's legacy. 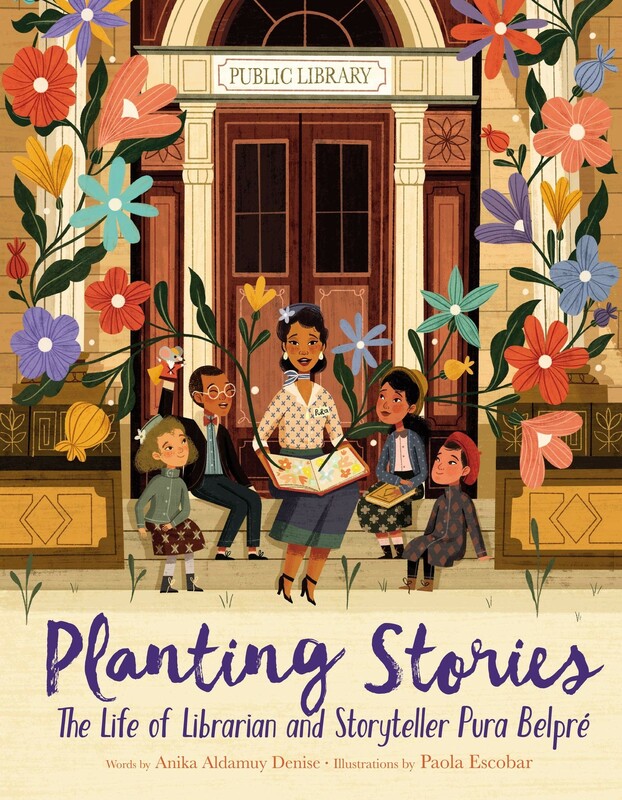 Brought to colorful life by Paola Escobar's elegant and exuberant illustrations and Anika Aldamuy Denise's lyrical text, this gorgeous book is perfect for the pioneers in your life. For a Spanish-language edition of this book, check out Sembrando historias: Pura Belpré: bibliotecaria y narradora de cuentos,.